John James Audubon (1785-1851) was an artist, ornithologist, and naturalist. He was known for his illustrations of birds throughout the Americas. 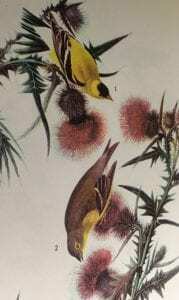 Audubon's most famous collection “Birds of America” was printed in 1827 and 1838. His extensive work with illustrations and water-color paintings are significant examples of early book arts. 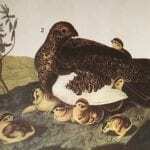 If you’d like to explore Audubon’s works more we have several resources in the libraries general collections and a few items in our special collections.